Open Parallels Desktop. Do not launch your virtual machine. 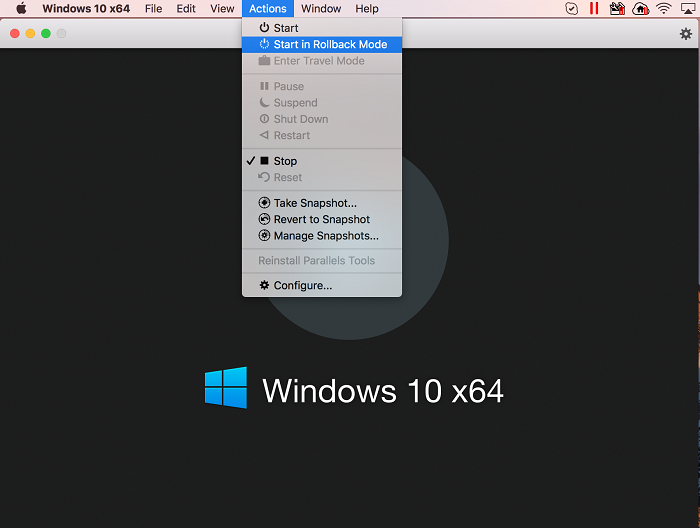 From the virtual machine's Actions menu, choose Start in Rollback Mode. While the virtual machine is running in Rollback Mode, all changes made during the running session will be discarded after the shutdown. Open the virtual machine's Configuration > Security. Set the Rollback Mode to Discard changes or Ask me what to do. 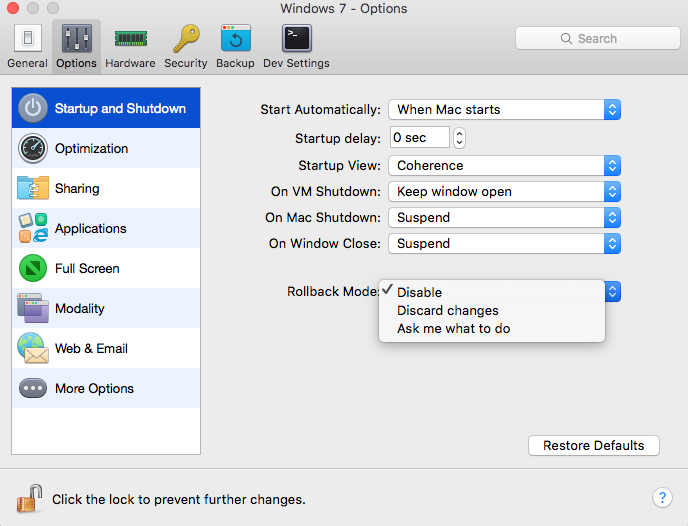 Open the virtual machine's Configuration > Options > Startup and Shutdown. 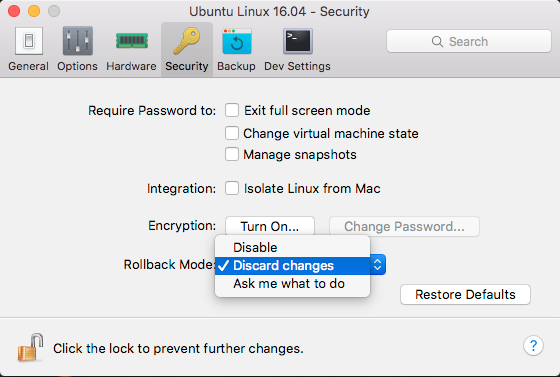 Set the Rollback Mode option to Discard changes or Ask me what to do. Note: If you have the automatic compression of virtual disks enabled, it will become disabled after you enable Rollback Mode.